Have you ever decided last-minute on an outfit for a party and needed to get creative to find the matching accessories in your wardrobe? 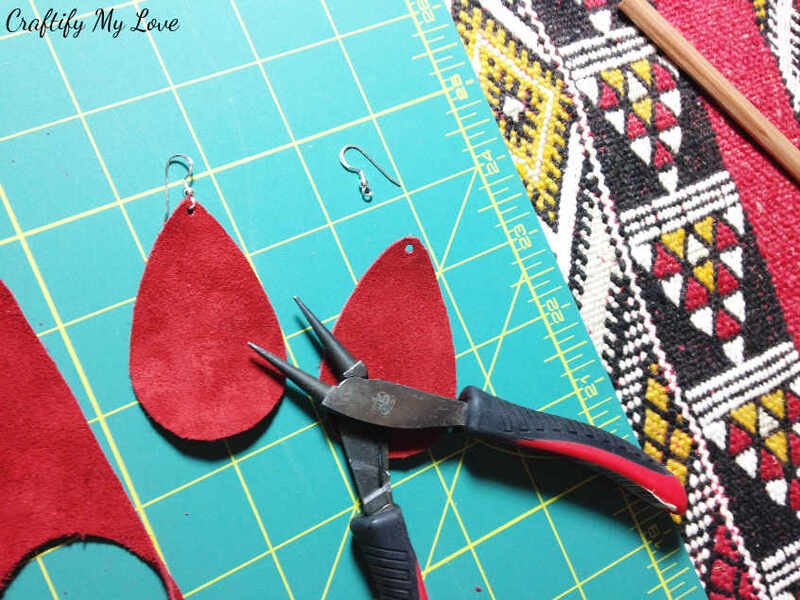 Yep, you’ve guessed right…it happened to me and this post will be all about how to last-minute DIY Red Velvet Teardrop Earrings. What I love about being creative is that you can handle almost any situation. All you need to do is to NOT FREAK OUT, but to SIT DOWN AND THINK! Need a last-minute gift idea? Well, rummage through your stash and craft one! 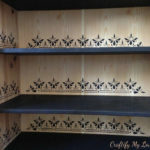 No money for new furniture? Rescue a run down piece from the thrift store or a roadside-find and give it some TLC. Need last-minute jewelry for your outfit? DIY it! I am positive you’ll come up with super creative ideas. 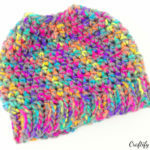 Think paper, leather, or even yarn! I love participating in challenges. They even further fuel my creativity! 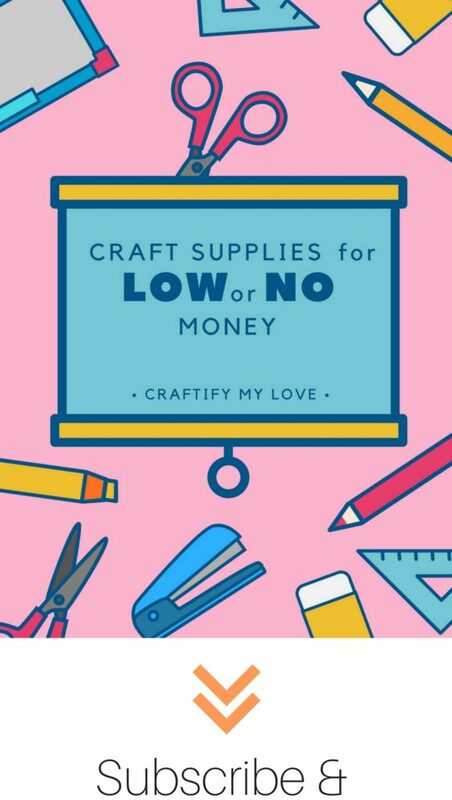 As I enjoy frugal crafts and even have a FREE Guide for you to learn how to get Craft Supplies for Low or No Money, joining those super crafty ladies from the Thrift Store Challenge is always a no-brainer! You’ll find this month’s creative ideas from my co-hosts at the very end of this post. 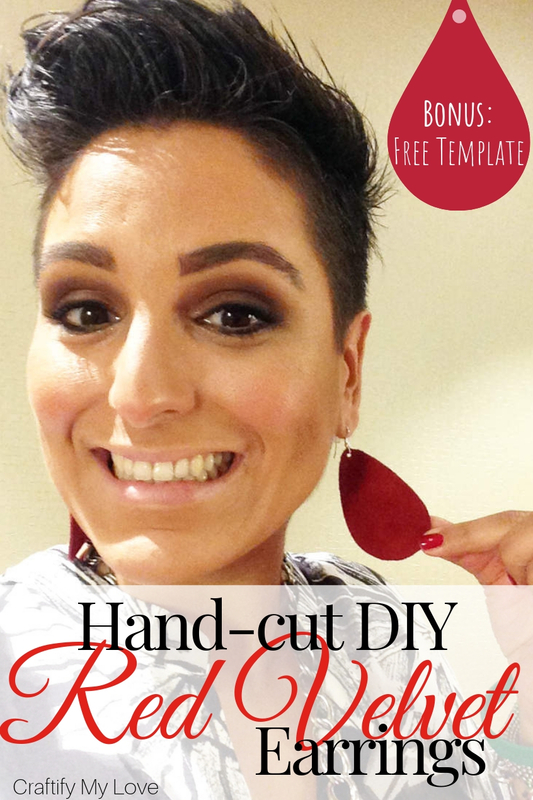 Download the teardrop-shaped template (it comes in two sizes!) as a thank you for subscribing to my newsletter. 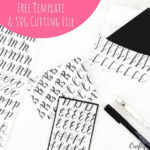 You can simply cut out the print and use the paper as your template. 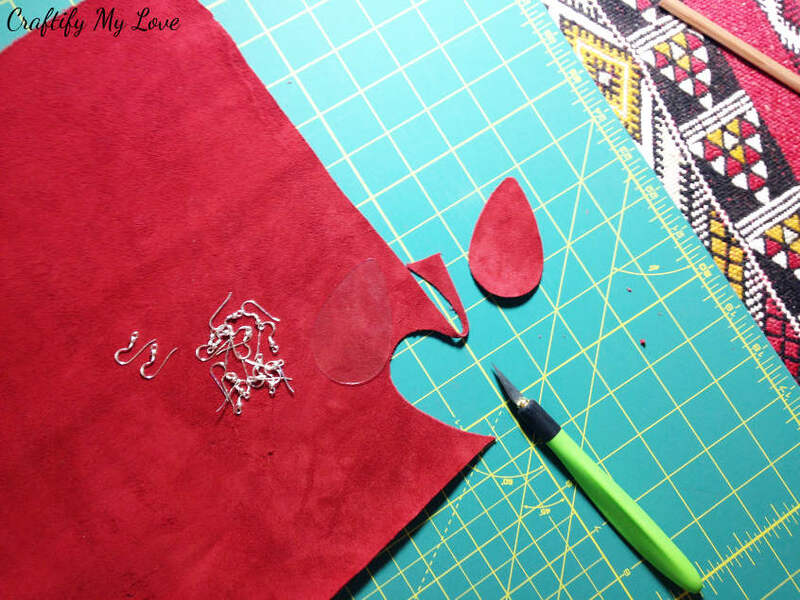 If you have a Cricut Maker or a Brother ScanNCut, you won’t be having this issue as your cutting machine will cut even thicker materials such as leather with super straight lines! But, my template is not an SVG. You’ll need to come up with that on your own. Sorry. I am just learning how to use my Brother ScanNCut and will come up with tutorials soon! Tip: Always use a cutting mat to protect your work surface and elongate your sharp blades life. Cutting on cardboard will make your knife go blunt in no time. Once you’ve cut out your earrings, use a leather hole punch and create a small hole in the top of your earring. 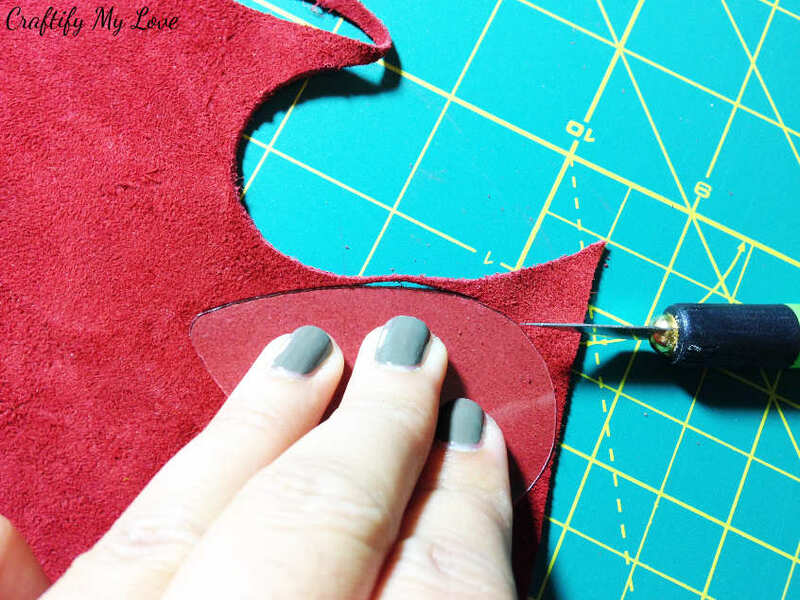 Tip: You can use a leather hole punch for so many things. All you need is to be creative: Use it to punch a hole into DIY gift tags, to create a border for a DIY card, or for DIY jewelry. Can you come up with even more ideas? 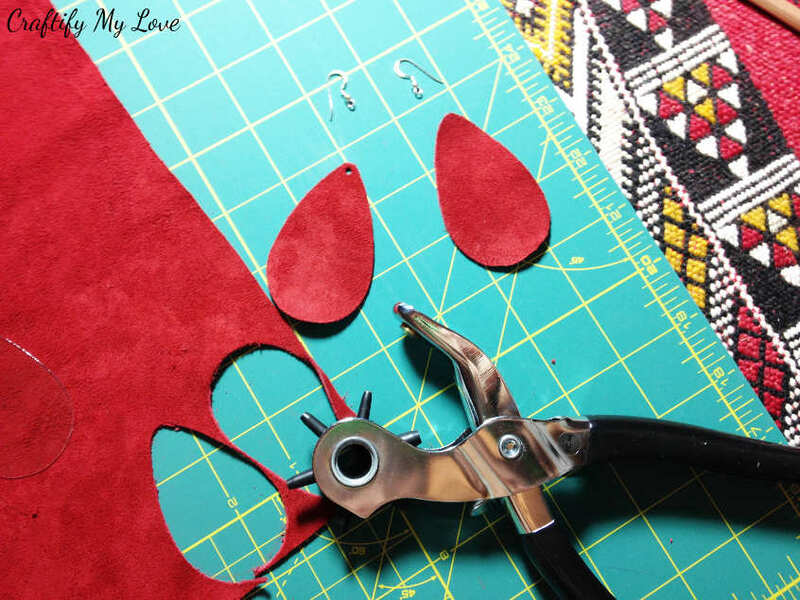 Now, it is time to attach the fish-hook (or French hook) earring wires to your cut-out leather pieces. It’s best to use round nose pliers to carefully bend open the base of your hooks. 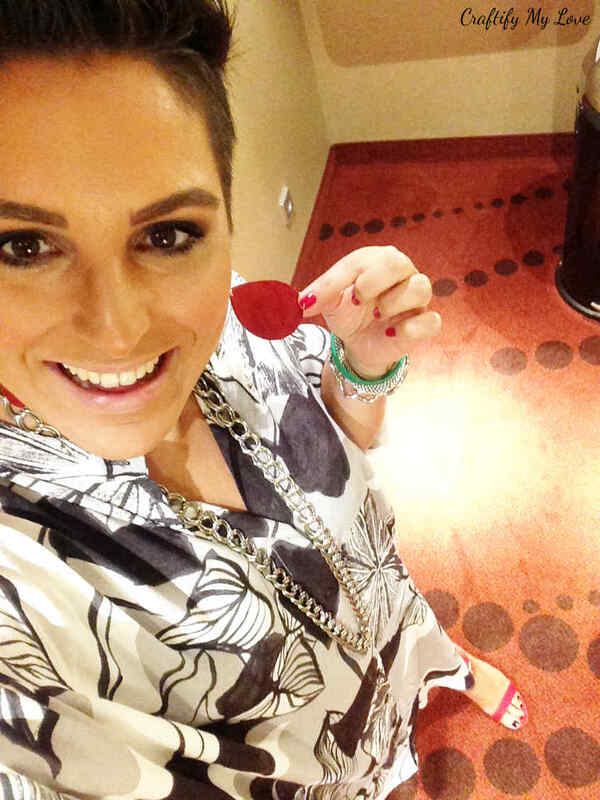 Slip it through your previously punched hole in the red suede leather earrings and bend it close again. If you liked this tutorial you might also like these Crocheted Boho Hoop Earrings, the Macramé Spiral Bracelet for Couples or BFF’s, or find even more inspiration over at Favecrafts.com. Have you ever made your jewelry yourself before? And for what occasion would you wear those red teardrop earrings? PPS: And now for more thrifty goodness! 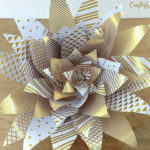 Check out what my fellow upcyclers created below! Thank you, Angela. You are so kind. Such cute earrings! I haven’t tried making jewelry yet, but now I want to! There are soooooo many options, Ali. You’ll love it! Love those earrings! You look great in them! So very cute. I will have to try this out with my new Silhouette. Yes, do so! I’m curious what you’ll learn. But you should achieve excellent results. I’m sure. These are so great! 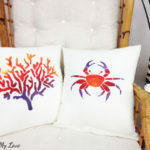 You would NEVER know they were handmade, which is the best kind of DIY!! I’ve been wanting to try making some of my own earrings and you made it look so easy!! Thank you so much, Meredith, for your lovely comment. They were easy to make, once I was happy with the template. 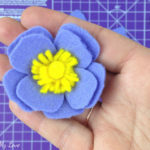 I’d love for you to give this diy a try. Very pretty earrings and they look great on! Enjoy those heels. Thank you, love. I do enjoy the heels and earring combo. Just wore them again for two weddings. These earrings are amazing! 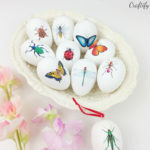 I love that you made them yourself! Oh, thank you so very much, Heather. The earrings are stunning and look so good on you. And I love the color. Thank you for the compliment, Debra. I enjoy wearing them. These are just adorable! I’ve never tried to make earrings with my Cricut, but you inspired me! Yeah, go ahead and try it, Michelle. I’ll bet they’ll turn out great! These are so fun! I have seen a lot of these teardrop earrings lately so you are right on point! They turned out so nice and look great! To be honest, I made them two years ago but never have gotten rounders write about them, Michelle. I love your sweet tear-drop earrings! Such a sweet Valentine’s Day gift idea! Thank you, Lauren. I’m glad you like them.